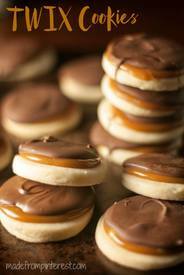 If you like TWIX candy bars, you'll love these buttery, flaky shortbread cookies topped with caramel and chocolate! Make extra because these beauties are addicting! !